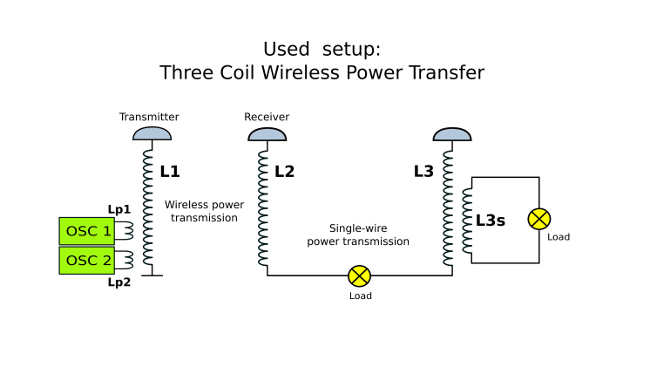 In experiments with wireless energy transfer are used different RF oscillators. Tesla coil is also an RF oscillator which typically generates alternating current in the range 50kHz to several MHz. RF currents have their own rules that are somewhat different from the NF electricity, especially DC. If the bulb with a lower power does not light, usually leads to the conclusion that the bulb with more power certainly not lights. This conclusion may not be correct. Everything depends on the impedance matching of sources and loads. This video shows a few examples that often lead to wrong conclusions. The actual resistance of the filament is temperature dependent. The cold resistance of tungsten-filament lamps is about 1/15 the hot-filament resistance when the lamp is operating. Thanks for the video. Question: how do you know the 40W light bulb have a match impedance? and 21W don't? Sorry for the Late Reply. 40W is for 230V and 21W is for 12V.